Yep, I recycled one of my husband's shirts (while he is out of town...)! 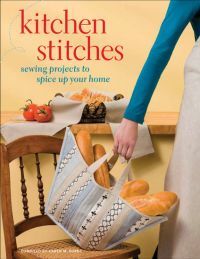 I wish I could say it was my idea, but I got it from the book Kitchen Stitches - Sewing Projects to Spice up your Home, published by Martingale, which I received for review. 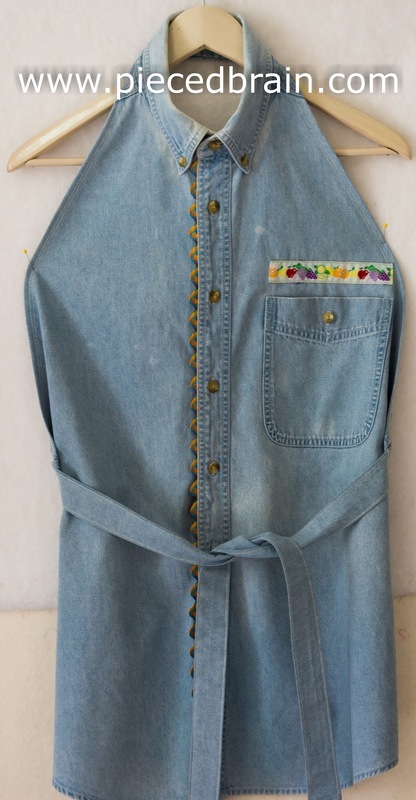 I was [virtually] thumbing through it when I saw the apron (picture below) - it was love at first sight! 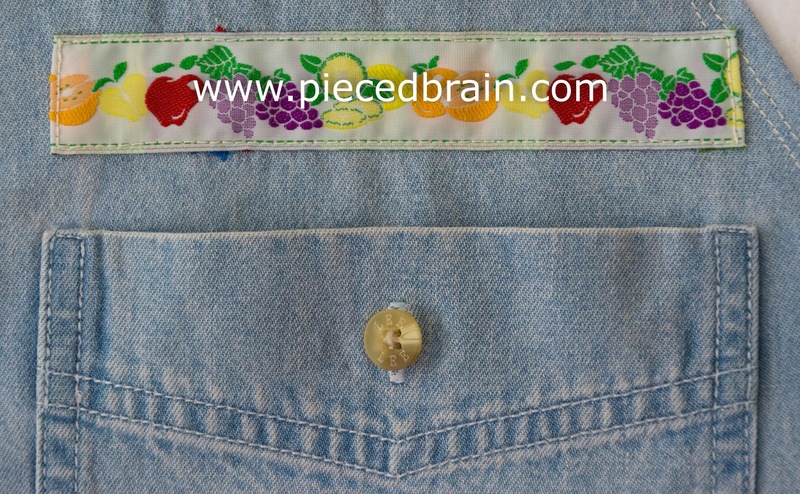 The shirt had a logo which I covered with the fruity trim, and the ric-rac is from Brazil, with all the right colors for this apron. I liked the idea of leaving the collar in... 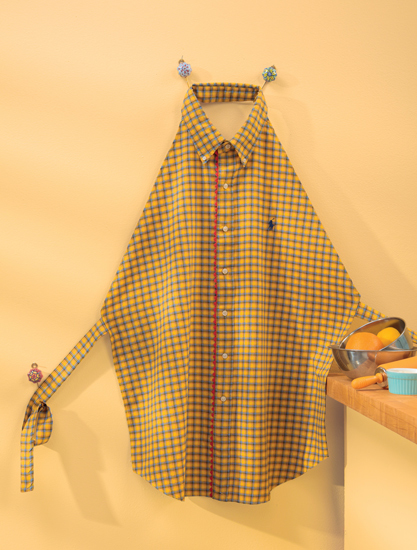 It took me more time to choose which of his shirts I was going to sacrifice than to actually make the apron. Sorry, honey, but it was time for this shirt to go! All projects in the book are easy to make due to the detailed instructions and clear graphics - a Martingale trademark. The popular designers who contributed to this collection of kitchen accessories were very creative, their ideas made all the more interesting because of modern twists on old favorites such as place mats, slow cooker cozy, and table cloths. 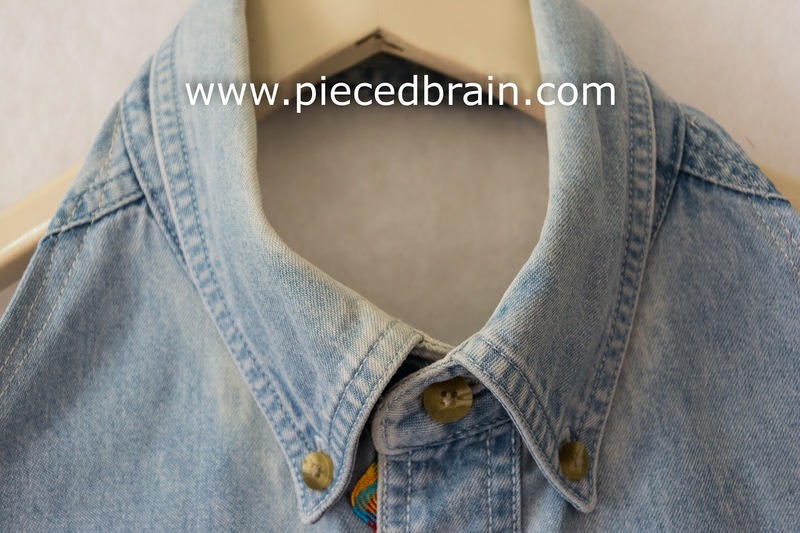 I would love to tell you more but I've got to run: I am going to the thrift store to buy shirts for aprons for my brothers-in-law and, if I am lucky, I will find matching shirts for aprons for their wives. Knocking off the list a few more Christmas gifts!!! Adorei a idéia, e mais ainda como tu resolveu o problema do logo. Muito criativa. Abraço.